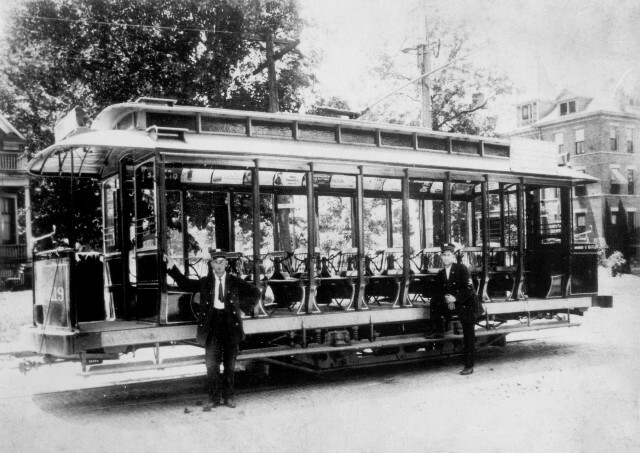 These two photos demonstrate that at least some of the 8-bench open cars had aisles. 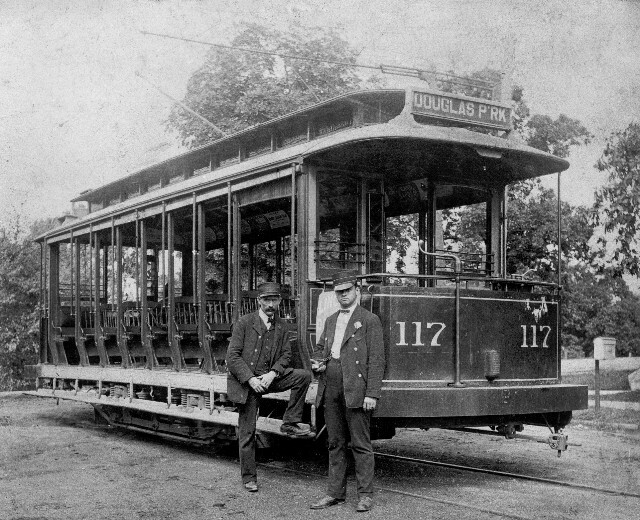 The photo of car 117 on the Douglas Park line shows a doorway from the front platform opening into the car body. The picture of car 119 shows seats which extend only part way across the width of the car, leaving room for the aisle.